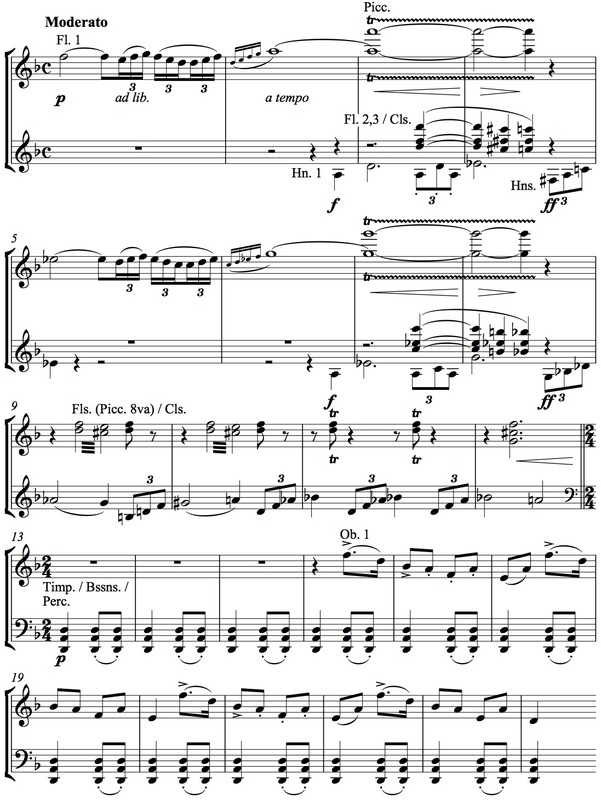 As is generally known, Claude Debussy’s cakewalks and cakewalk-inflected compositions are a response to the ragtime craze that was stimulated in Paris by the performances of the American “March King” John Philip Sousa and his band in 1900 and 1903. Far less familiar is the fact that the Sousa Band in turn played a handful of transcriptions of works by Debussy in later years. Considering the instrumentation and the popular character of Sousa’s ensemble, his embracing of Debussy may seem surprising at first sight. However, a well-balanced mixture of ‘vernacular’ and ‘cultivated’ music and the employment of the latter for the sake of entertainment was the hallmark of his style of programming. Still it can be said that the Debussy arrangements, along with transcriptions of certain works by Richard Strauss, represent the highest degree of sophistication and modernity that could ever be found in Sousa Band programmes. Focusing on the analysis of transcriptions of the Prélude à l’après-midi d’un faune by Sousa and of La cathédrale engloutie by Herbert L. Clarke (both written in 1921), this article aims to demonstrate that the departure from musical conventions in Debussy’s works required a fresh approach to band scoring which could only partially build on contemporary standards. Thus, arranging Debussy for wind band did not only mean crossing borders in a social and aesthetic sense but also in a technical one. Since traces of impressionist compositional thinking can even be found at some points in Sousa’s own works, the American bandmaster may be regarded as a pioneer of the popular adaptation of impressionist elements that soon would be common in the music of Broadway, Tin Pan Alley and Hollywood. Keywords: American music; eclecticism; orchestration–instrumentation; transcription–arrangement; wind band. Fait largement connu, la présence des cakewalks et de ses dérivés stylistiques chez Debussy constitue une réaction à l’engouement pour le ragtime qu’ont suscité les concerts donnés à Paris en 1900 et 1903 par le « Roi de la marche », l’Américain John Philip Sousa. Moins connu est le fait que le Sousa Band a joué des adaptations d’œuvres de Debussy quelques années plus tard. Quand on pense à l’instrumentation et au style populaire de l’orchestre de Sousa, son appropriation de l’œuvre de Debussy peut paraître surprenante. Cependant, un subtil mélange de musique « vernaculaire » et de musique « savante » marque la façon dont la programmation est pensée. On peut cependant affirmer que les arrangements des œuvres de Debussy, ainsi que les adaptations de certaines œuvres de Richard Strauss, s’avèrent être le plus haut degré de sophistication et de modernité au sein des programmes du Sousa Band. En se concentrant sur l’analyse des adaptations du Prélude à l’après-midi d’un faune par Sousa et de La cathédrale engloutie par Herbert L. Clarke (toutes deux conçues en 1921), le présent article cherche à montrer que la rupture des conventions musicales présente dans les œuvres de Debussy exigeait une approche nouvelle de l’orchestration, laquelle ne pouvait se fonder qu’en partie sur les références de l’époque. Des traces de tentative de composition impressionniste peuvent même être décelées dans certains éléments des œuvres de Sousa. En ce sens, le chef d’orchestre américain peut être considéré comme un avant-gardiste quant à l’adaptation populaire d’éléments impressionnistes, qui finiront par s’imprégner dans la musique de Broadway, de Tin Pan Alley et d’Hollywood. Mots clés : éclectisme ; fanfare–orchestre d’harmonie ; musique américaine ; orchestration–instrumentation ; transcription–arrangement. There is one significant influence of Sousa on Debussy, however, that is generally acknowledged: with his cakewalks and cakewalk-inflected works, Debussy responded to the ragtime craze that was stimulated in Paris by the performances of the Sousa Band at the World’s Fair of 1900 and again in 1903. When Debussy reviewed one of the band’s concerts at the Nouveau-Théâtre for the magazine Gil Blas in April 1903, he hardly referred to anything other than the cakewalk and the exalted style in which “le roi de la musique américaine,” as he called Sousa (Debussy 1987, p. 157), conducted it. The March King, for his part, was not unaware of his French colleague. In later years, Sousa had his ensemble play a handful of arrangements of works by Debussy and even tried his hand at an adaptation of the Prélude à l’après-midi d’un faune for band (which has probably never been performed). The proliferation and popularization of art music were indeed major functions of civil and military wind bands before (and even after) the advent of radio and the maturation of recording technology; still, Sousa’s interest in Debussy deserves special attention for two reasons. The second reason for having a closer look at the Sousa-Debussy connection is that impressionism, with its predilection for the vague and volatile, seems hardly compatible with the immediacy, directness, and concreteness of the sound that is typically produced by a wind band. Some of the Debussy works played by, or arranged for, the Sousa Band do not at all lend themselves as easily for such adaptation as do, for instance, many compositions by Richard Wagner or Richard Strauss. The idea of arranging a piece as delicately scored as the Prélude à l’après-midi d’un faune for band seems counterintuitive. But for Sousa, the wish to familiarize his audience with it obviously prevailed over the aesthetic and technical problems that its arrangement involved. Believing […] that entertainment is of more real value to the world than technical education in music appreciation, I would not accept the symphonic orchestra as my medium. […] I wanted to avoid those musical combinations governed by certain laws as enduring as those of the Medes and the Persians, and institute one which I felt would cater to the many rather than the few (Sousa 1928, p. 274-275). For this “new combination,” which was in fact an alteration of the type of concert band that had earlier been developed from the military band by the conductor, composer and impresario Patrick Sarsfield Gilmore, Sousa claimed a “splendid balance of tone,” a “multiplicity of quartettes,” a “virtuosity of execution” and the “freedom to be absolutely eclectic” (ibid., p. 275) in his concert programs. “Eclecticism” is a key term in Sousa’s philosophy of music. It denotes the deliberate mixing of styles and genres, and especially of ‘highbrow’ and ‘lowbrow’ elements, in both composing 2 and programming. This was more than just an idiosyncrasy, as Sousa considered eclecticism constitutive for the national character of American music and musical life. “[W]hen I toured Germany they knew little and cared less about French music; the same attitude prevailed in France concerning German music,” he wrote. “Our population is more cosmopolitan in character, our tastes are less limited and we are more open to the delights of eclecticism in music” (Sousa 1928, p. 361). Anticipating George Gershwin in many regards, Sousa created in music an analogy to the metaphorical depiction of the United States as a social and ethnic melting pot. Just as American society would define the status of the individual—i.e. the white male individual—according to his assets and personal merits rather than to his pedigree, Sousa would evaluate music with regard to its quality as a product of “inspiration” rather than to its nominal designation to classical or popular spheres. Inspiration, of course, is a category which defies objective judgment. For Sousa, it was indicated by popular (and implicitly commercial) success, as he revealed in a discussion with the French composer Cécile Chaminade, arranged by the New York Herald in 1908. In his autobiography, Marching Along, Sousa recalls: “I was asked, ‘What makes a composition popular?’ Its measure of inspiration. Anybody can write music of a sort. But touching the public heart is quite another thing’” (ibid., p. 296). Thus, in a bold inversion of common European prejudices against the allegedly uncultured and materialistic American people, Sousa declared American social values to be preconditions of art. I have found that a classical production accepted as popular by the music-lovers is one that appeals equally to the intellect and the senses. I hold that the proper definition is that kind of music based upon natural laws and finding an echo in the heart of the universal world. It makes no difference whether it be a waltz or march, an etude or symphony, that which the world acknowledges as clever is clever and never dies (quoted after Korzun 1994, p. 159). To be sure, Sousa’s combination of highbrow and lowbrow music is rooted in the pastiche-like programming style that was common in the first half of the nineteenth century and lived on in promenade concerts such as those of Louis Antoine Jullien (cf. Lichtenfeld 1972), not to mention in the mixed repertoire of military bands. But, apart from the peculiar dramaturgy of Sousa’s concerts, 3 there is one aspect which clearly distinguishes his practice from tradition, namely the enormous stylistic variety covered by his programs, reflecting the huge gap between popular and art music that had considerably widened towards the end of the nineteenth century. On the one side of the spectrum we find a wealth of dances, characteristic pieces, a variety of popular hit tunes, and of course Sousa’s marches, which were chiefly used as encore numbers; on the other side, we find examples from the symphonic and operatic repertoire of late romanticism and occasionally even of early modernism. In Marching Along, Sousa (1928, p. 341) reports that he conducted excerpts from Wagner’s Parsifal as early as 1893, ten years before it was staged for the first time at the New York Metropolitan Opera. Works by Richard Strauss could also be heard in his concerts. For example, between 1907 and 1915 he repeatedly programmed Till Eulenspiegels lustige Streiche, and in the twenties he played Don Juan and Tod und Verklärung (cf. Bierley 2006, p. 407-408). In 1923, he took pride in performing the symphonic poem A Victory Ball by the now almost forgotten American composer and pianist Ernest Schelling. “[I]t was enjoyed by my audiences,” Sousa remarked, “at least in the sense that they were glad for an opportunity to hear a much-discussed number of the modernistic school” (North American, ca. November 1924, quoted after ibid., p. 14). In September 1925, Sousa conducted an arrangement by Igor Stravinsky: the famous Song of the Volga Boatmen (Chant des bateliers de la Volga), 4 scored for the wind and percussion sections of a symphonic orchestra. In this work, which Stravinsky wrote as a provisional Russian anthem after the February revolution of 1917, the modal character of the original tune is taken very seriously, breaking romantic conventions of harmonization and orchestration at virtually every moment. The arrangements of six works by Claude Debussy listed in figure 1 are among the most sophisticated and modern pieces in Sousa’s repertoire—or, more precisely, in the Sousa Band library. The original performance materials are now part of the collections of the Sousa Archives and Center for American Music at the University of Illinois at Urbana-Champaign. 5 The data in the fourth column of figure 1, indicating the year(s) in which each work was performed, are based on information from extant printed programs, 6 as compiled by Paul E. Bierley (2006, p. 343). Bierley’s findings have been double-checked and supplemented for the present article by Hannah Jellen. 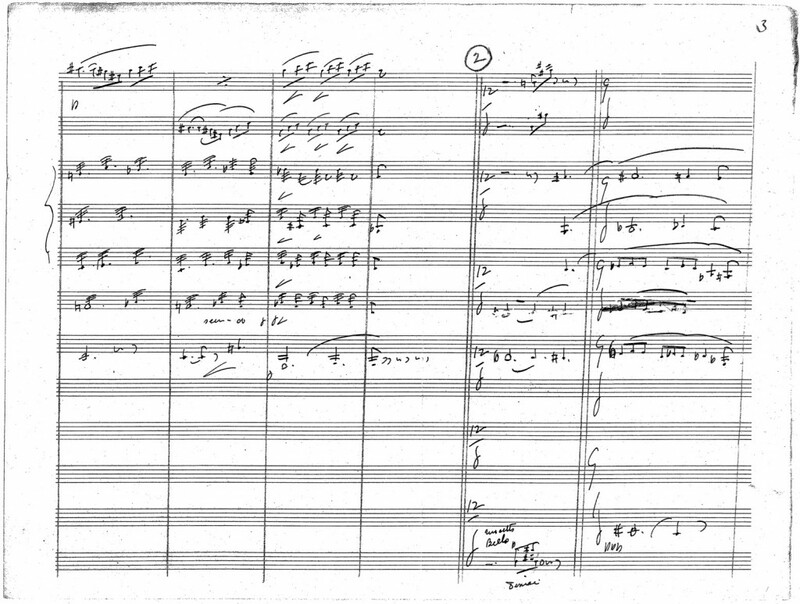 Figure 1: Arrangements of six works by Claude Debussy in the Sousa Archives and Center for American Music, University of Illinois at Urbana-Champaign (SACAM). It bears noting that Sousa programmed music by Debussy rather sparingly. He played it almost exclusively during his band’s annual engagements in the “summer music capital of the nation” (ibid., p. 49), Willow Grove Park near Philadelphia. No reviews of Sousa Band concerts that comment specifically on these performances are known to the present author. The most comprehensible of the works in question, En bateau from the Petite suite and a selection from Children’s Corner, were performed from arrangements published by European presses. 7 It is certainly not by accident that the Petite suite and movements from Children’s Corner were among the first works by Debussy that were available in printed arrangements for band, as both are indebted to the tradition of a comparatively popular genre, the romantic character piece. Their single movements are relatively short, often fall into the conventional pattern of a melody with accompaniment, and cultivate a rather light, conversational tone. With Golliwogg’s Cakewalk from Children’s Corner being arranged for band, Sousa’s influence on Debussy came home, so to speak. Concerts by the Sousa Band regularly incorporated vocal numbers that featured soprano soloists. In 1919 and 1920 the band played an arrangement of Récit et air de Lia from the “scène lyrique” L’enfant prodigue. 8 The arranger is unknown, but considering the disputable quality of his work, it seems unlikely that it was Sousa himself. As was the norm for solo accompaniments in the Sousa Band (cf. Korzun 1994, p. 157; Danner 2005, p. 73/129), the instrumentation is heavily reduced: woodwinds (though no saxophones), two horns, tubas, bells, and harp. It should be mentioned here that the harp had a fixed position in the Sousa Band beginning in 1905 (cf. Bierley 2006, p. 251); the part assigned to this instrument (but hardly playable by it) is the piano vocal arrangement taken from the selection L’enfant prodigue. Airs extraits, published by Durand & Fils in 1905. Especially remarkable is the fact that there is no recognizable reference to Debussy’s original orchestration of the versions that had been published in 1906 and 1908. The Sousa Band adaptation of Récit et air de Lia is essentially an independent re-orchestration of the vocal score. Unlike Debussy, the arranger decided to orchestrate many instrumental doublings of the vocal melody, and, in spite of the sparse instrumentation, his work appears relatively thick and at the same time poor in timbral contrast. 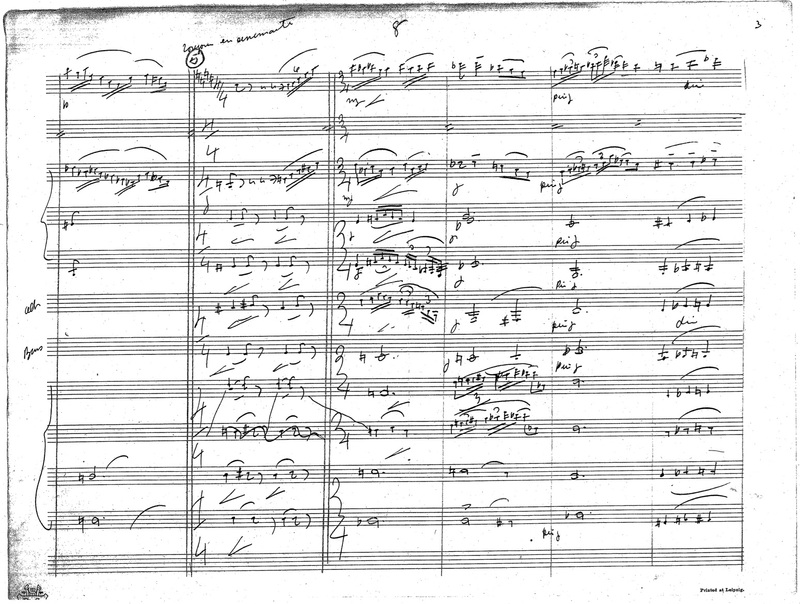 Sousa’s 1921 arrangement of the Prélude à l’après-midi d’un faune, which will be discussed later in greater detail, is certainly the most ambitious work on the list, but, as already mentioned, there is no clear evidence that it was actually performed. The remaining two arrangements are the work of another outstanding personality in American band history, Herbert Lincoln Clarke (1867-1945). Clarke was solo cornetist and later also assistant conductor of the Sousa Band from 1893 to 1917, with interruptions. Between 1918 and 1923, he led the Anglo-Canadian Leather Company Band of Huntsville, Ontario, and it was obviously for this ensemble that he wrote his arrangement of La cathédrale engloutie. Presumably in 1923, the year in which he accepted the leadership of the Long Beach Municipal Band in California, he arranged the Marche écossaise sur un thème populaire. Both arrangements were copied for use by the Sousa Band. It seems that Sousa conducted each of them only once, during the Willow Grove engagement of 1924. No autograph scores of Clarke’s Debussy adaptations are extant, and pre-existing printed editions seem to have served as conductor’s short scores. In the case of the Marche écossaise, which was originally written for piano four hands, the set of parts used by the Sousa Band is accompanied by a copy of Gustave Samazeuilh’s arrangement for piano two hands, published by Jobert in 1922. It contains many handwritten instrumental cues that refer to original ideas by the arranger, as well as to features of Debussy’s own orchestration that were adopted by Clarke. Arrangers of works by Debussy for band faced (and indeed, continue to face) the challenge of reconciling Debussy’s delicate and at times ethereal and weightless harmony with the rather earthy quality of band instrumentation. At the same time, they were given the opportunity to explore the previously untapped potential of the band. For example, harmonic parallelism, a typical feature of impressionism, is highly appropriate for wind instruments. As to orchestrating the bass of impressionist compositions, one has to avoid a heaviness that would suggest the obsolete cadential function of this part. To put it more precisely, the tuba should be used in a most scrupulous manner. With these observations in mind, the stylistic versatility Sousa claimed for his concert band will now be put to the test by a closer inspection of Sousa’s and Clarke’s arrangements of two key impressionist works, Prélude à l’après-midi d’un faune and La cathédrale engloutie. In his arrangement of the Prélude, Sousa retains the original key of E major, which is far from comfortable for an ensemble mostly comprised of B♭ and E♭ instruments. 9 And just as Debussy had not employed the full orchestra, Sousa did not employ the full band. However, his instrumentation of the Prélude is still more complete than that of Récit et air de Lia. The only instruments missing are the trombones and euphoniums or baritones. Sousa leaves the original woodwind and horn parts unaltered, except for rewriting the 2nd and 3rd flute parts and transposing the orchestral clarinet parts, where they are written for A clarinet, to B♭. 10 The upper strings—1st and 2nd violins and violas—are substantially represented by the remaining three-part grouping of B♭ clarinets. 11 The lead flute part is identical to its equivalent in Debussy’s score, while the 2nd, 3rd and 4th flute mostly serve as an upper extension of the clarinet choir (and especially replace the high solo violins) in places where they do not play the original flute parts. Figure 2 presents the first page from Sousa’s autograph score. This manuscript can hardly be called a full score, as it omits the 2nd flute and those instrumental parts that were copied without substantial change from the orchestral score: 1st flute, oboes, cor anglais, clarinets, bassoons, horns, and cymbales antiques. The score contains the parts for the 3rd and 4th flute, 1st, 2nd and 3rd B♭ clarinets, alto and bass clarinets, 1st and 2nd alto saxophone, tenor and baritone saxophone, bells and—not listed on the first page—a single part for cornets and trumpets in unison. 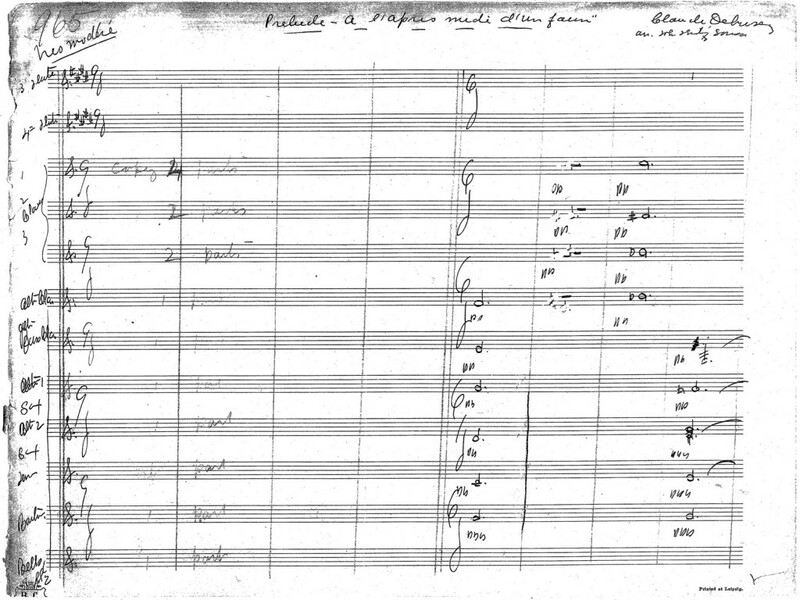 Figure 2: John Philip Sousa, first page of autograph score from the arrangement of Prélude à l’après-midi d’un faune, cf. figure 1. Also not included in the score are the parts for the harp and the 1st and 2nd tuba. The prelude’s original instrumentation calls for two harps whose parts are here condensed into one. 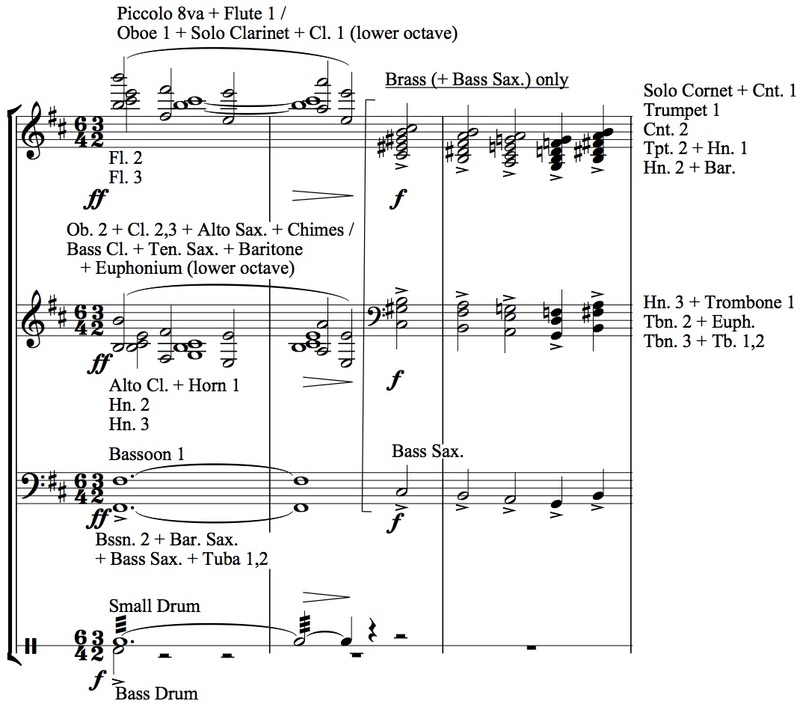 The tuba parts are mainly derived from the double bass and occasionally the cello parts of the original version, but contain octave transpositions and doublings that are not present in Debussy’s work. Special instructions for writing out the parts for the 2nd flute, the harp, and the tuba were probably jotted down by Sousa in a copy of the orchestral score. It is also possible that he left the copyist some freedom in interpreting his task. In the passage after rehearsal number 2 (measures 21-31), a recurring motif of the harp (originally of the 2nd harp) is reinforced by the 3rd and 4th flute—after they have shared in the octave-divided 1st violin part in mm. 18-20—and the bells: a pair of eighth notes, with the second one carrying an arpeggiated chord. Figure 3 presents the third page (mm. 17-22) of Sousa’s autograph score with the first occurrence of this feature. In a later passage, mm. 67-71, the bells are employed as an actual substitute for the 2nd harp, playing a simplified version of the original part. Sousa did not notate the bells’ part in these measures but simply wrote “Bells added same as 2nd Harp” at the bottom of page 11. Figure 3: John Philip Sousa, third page of autograph score from the arrangement of Prélude à l’après-midi d’un faune. As can also be seen on page 3 of Sousa’s autograph, bowed tremolos in the strings have been transferred literally to the clarinets, thus suggesting flutter-tonguing which would hardly work as an equivalent of the original effect. Jonathan Korzun observes that “[b]owed tremolos marked by three slashes were usually transcribed unaltered to the wind parts” in Sousa’s adaptations of orchestral works, and he admits: “The investigator was unable to determine how these were to be performed” (Korzun 1994, p. 336). It is possible that Sousa left it to the principal clarinetist to transform the bowed tremolo of the strings into an easily playable and well-sounding ‘finger tremolo’ (i.e. a trill of alternating chord notes) in the clarinets. 12 In that case, however, it could be expected that the single clarinet parts would be marked correspondingly if the arrangement was performed or at least rehearsed. As mentioned above, Sousa decided to separate the original clarinet parts from the three-part choir of B♭ clarinets. In other words, he added a second solo B♭ clarinet to the single one for which the American standard band instrumentation calls. But what is more, he kept the separation of solo and tutti clarinets consistent, whereas in most published arrangements the solo clarinet would join the 1st clarinets most of the time. Korzun notes that the problem of the clarinet’s double role is not actually solved in the Prélude arrangement: “The timbral variety of the original [i.e. the contrast between clarinets and strings] is sacrificed. Sousa ameliorates the problem here by adding the saxophone timbre to the clarinets that are playing the string parts” (Korzun 1994, p. 173). This statement requires comment. In fact, Sousa uses the saxophone quartet mainly to cover the lower string parts, from viola downwards, often in combination with clarinet parts, to be sure, but never by doubling the clarinet choir as a whole. Thus, the saxophone quartet serves as a lower extension, or sonorous foundation, of the clarinet section rather than as a mere coloristic addition to it. This substantial function is suggested by the multiple division of the strings in the original, and it constitutes a remarkable increase in the saxophones’ importance in the band. Figure 4: John Philip Sousa, eighth page of autograph score from the arrangement of Prélude à l’après-midi d’un faune. Sousa’s technique is well illustrated by the passage after rehearsal number 5 (mm. 44-50). Figure 4 presents the page of his autograph score that contains all but the last two of these measures. Figure 5 shows how Sousa’s solution relates to the orchestral score. For each measure it is indicated which instruments of the original orchestration are substituted or doubled by the instruments included in the arranger’s autograph. Especially interesting here is the alto saxophones’ alternation between substituting for string instruments and reinforcing the cor anglais and solo clarinets. A mistake by Sousa in m. 48, 2nd alto saxophone (G-A♭-A instead of D-E♭-E), was corrected by the copyist in writing out this part. Figure 5: Sousa’s dispositions in the arrangement of Prélude à l’après-midi d’un faune, mm. 44-50. The function of the cornet section (which traditionally forms the heart of the American wind band) and of the trumpets is restricted to a reinforcement of the tutti passage in mm. 55-71, as seen in the figure 6 (ms. 56-62; cornets and trumpets are notated on the lowest staff). Here, these instruments, in unison and muted, join the broad melodic line, thus unifying its timbre, whereas in the original the melody is passed over from the woodwinds to the strings in m. 63. Figure 6: John Philip Sousa, tenth page of autograph score from the arrangement of Prélude à l’après-midi d’un faune. With the complete absence of two more characteristic band instruments, the trombone and the euphonium, it can be said that Sousa avoids clichéd effects of band sound (like octaves in the brass) and creates an entirely new kind of medium out of the traditional band: an ensemble centered around the flute, clarinet, saxophone and horn sections, or “quartettes,” producing a mellow sound that matches the mood of the original quite well. Employing the tubas to provide the bass for this instrumentation seems daring, but can be taken as proof of the skill of Sousa’s tuba players. The baritone saxophone, which mostly doubles the bass in the upper octave, helps to integrate the tuba part into the overall sound of the band. The extensive use of parallel chords in La cathédrale poses a special challenge to orchestration, as it calls for a balanced homogeneous coloring which at the same time should not become monotonous. Clarke responds to this problem by contrasting woodwind and brass in an antiphonal manner. The chains of parallel chords are played by either one of these groups. In fact, a simultaneous use of woodwind instruments on the one hand and cornets, trumpets, and trombones on the other, is almost completely avoided in this arrangement. Clarke prefers the brass for the passages of close and clear tertiary harmony. Figure 7 shows mm. 61-63 with a mixed woodwind and horn setting supported by percussion instruments giving way to the full brass in a parallel sequence of dominant seventh chords. This orchestration seems in danger of working against Debussy’s original score markings—all the more so as the original molto diminuendo is replaced by a simple forte marking for the brass. Figure 7: Herbert L. Clarke, arrangement of La cathédrale engloutie, mm. 61-63. 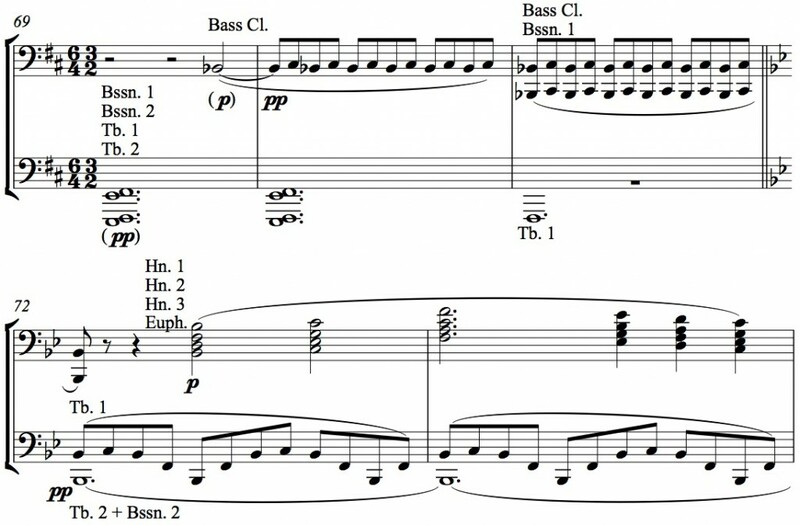 A slightly later passage, displayed in figure 8, is particularly interesting for its treatment of a bass whose agility seems hardly reconcilable with the technical and expressive possibilities of the tuba. The wave-like bass line in mm. 72ff. has been transposed one octave up and given to the 1st tuba, while the 2nd tuba and 2nd bassoon provide a pedal point as a new element. In this orchestration, the bass line is hardly understandable any more as evolving out of the preceding quasi-trill which Clarke assigns to the bass clarinet and the 1st bassoon. While the tuba in general blends perfectly with horn chords like those in the cited passage, excellent players are required to avoid a comic effect in executing the first tuba part here and to keep it pianissimo. Figure 8: Herbert L. Clarke, arrangement of La cathédrale engloutie, mm. 69-73. Two other passages seem to reveal Clarke’s discomfort with quartal harmony. In the harmonic complex displayed in figure 9, perfect fifths are shifted and doubled in octaves. Here, the second fifth in the chords progressing in quarter notes (which, as an unresolved dissonance, signals the abandonment of the triadic system) is by far the weakest note in Clarke’s orchestration, as it is played by the alto clarinet alone. At the end of the work, in a recapitulation of the beginning, Debussy introduces additional notes (C and D, see figure 10a), which are simply omitted by Clarke in the ascending sequence of chords (see figure 10b). 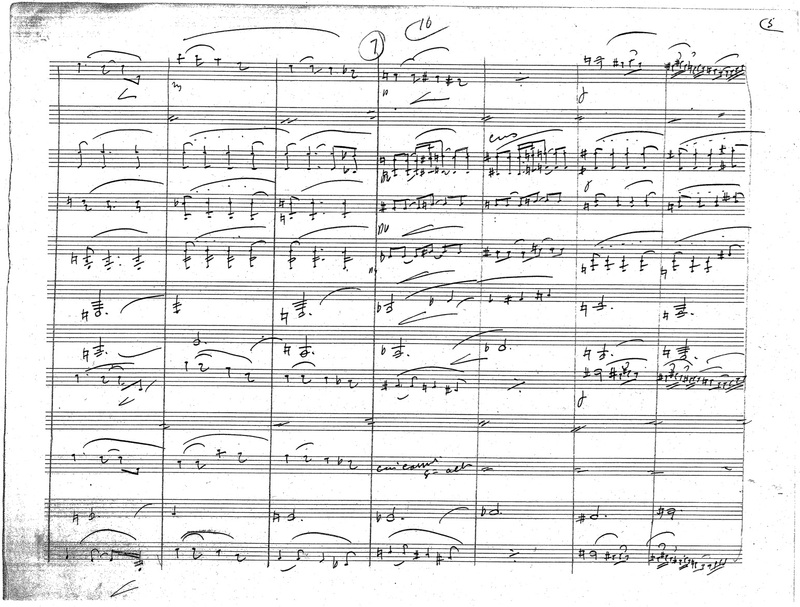 Figure 9: Herbert L. Clarke, arrangement of La cathédrale engloutie, mm. 14-15. Figure 10a: Claude Debussy, La cathédrale engloutie, mm. 84-86. Figure 10b: Herbert L. Clarke, arrangement of La cathédrale engloutie, mm. 84-86. As the analysis of Sousa’s and Clarke’s Debussy arrangements demonstrates, adapting impressionist works for the wind band was by no means a simple task and required a fresh approach to band orchestration which could only partially build on the contemporary standards of transcribing classical and romantic works for this medium. The solutions found by Sousa and Clarke are ingenious in many cases, while in others they reveal a certain insecurity about the essence of Debussy’s style and how to deal with it. The mere fact, however, that the considerable challenge of arranging Debussy for band was taken up quite early in the American concert band tradition indicates the fascination with musical impressionism that began to seize American popular music culture around 1920. At around the same time as Sousa and Clarke wrote their arrangements, impressionist features like parallel seventh and ninth chords and the whole tone scale began to appear in the so-called novelty piano style (which had a major influence on George Gershwin), dance band arrangements, and the songs of Broadway and Tin Pan Alley. Ironically, it may have been exactly the sharp antagonism of the “vernacular” and “cultivated” traditions in American music that facilitated the absorption of impressionist innovations by the former, because popular writers could remain relatively untouched by the conservatism and prejudices of the academic establishment. Impressionism may at first sight appear remote from the popular style at the beginning of the twentieth century, but unlike the atonal music of the Second Viennese School, impressionist works usually did not shock unprepared listeners with harsh dissonance, and their accessibility was often increased by virtue of their poetic, programmatic titles. Indeed, the tradition of program music and, within this context, the tendencies of exoticism helped impressionist musical techniques gain acceptance in the popular sphere. In Sousa’s own suites for band, there are occasional moments where the emancipation of coloristic features leans towards impressionism. Such a passage occurs at the beginning of the first movement of Sousa’s suite Tales of a Traveler, as shown in figure 10 (a short score prepared by the present author on the basis of the set of parts published by the John Church Company in 1914 15). Tales of a Traveler, conceived in 1911 during the Sousa Band’s world tour, 16 predates Sousa’s arrangement of the Prélude à l’après-midi d’un faune by a decade. The first movement is entitled The Kaffir on the Karoo, and is meant to depict black South Africans assembling for a dance. Figure 11: John Philip Sousa, Tales of a Traveler, (a) “The Kaffir on the Karoo,” © John Church Co. 1914, mm. 1-24. Within the framework of a conventional romantic introductory pattern (an initial motivic statement, or motto, and a contrasting counter-phrase are repeated on a neighbouring scale degree and followed by some kind of development), various exoticisms unfold. Note the flute solo slightly reminiscent of the opening of the Prélude à l’après-midi d’un faune, the responding horn calls highlighting the interval of the diminished fifth, the prominence of the quasi-Phrygian note E♭, non-functional chord progressions in the counter-phrases (mm. 3-4 and 7-8), the tonally ambiguous trilled third in mm. 9 and 10, and the whole-tone chord in m. 12. The latter functions as the dominant seventh chord of D minor (A7) with the sixth (F) displacing the fifth (E); the preceding sonority (first inversion of B♭7 in m. 11) may correspondingly be interpreted as an inversion of the German sixth chord, but can hardly be perceived as such. The primitivist combination of a rhythmicized drone (timpani, bassoons and drums) and a modal melody (oboe) in the subsequent dance episode generates chords of shifted fifths in mm. 18, 20, 22, and 23. In m. 25, the music changes to a quite conventional polka. This transition, odd as it may appear, is telling with regard to the stepwise incorporation of impressionist elements into American popular music. Like in Sousa’s concert programs, where a piece by Debussy could appear amidst popular dances and marches, the two opposing musical worlds, impressionism on one side and the American vernacular tradition on the other, are connected here but still separated. In the music of Gershwin and others, they would soon become integrated. Bierley, Paul Edmund (2005), The Incredible Band of John Philip Sousa, Urbana and Chicago, University of Illinois Press. Danner, Phyllis (2005), Sousa at Illinois. The John Philip Sousa and Herbert L. Clarke Manuscript Collections at the University of Illinois at Urbana-Champaign: A Catalogue of the Collections, Warren, Michigan, Harmonie Park Press. Debussy, Claude (1987), Monsieur Croche et autres écrits, edited by François Lesure, Paris, Gallimard. Korzun, Jonathan Nicholas (1994), “The Orchestral Transcriptions for Band of John Philip Sousa. A Description and Analysis,” Doctoral thesis, University of Illinois at Urbana-Champaign. Krebs, Jesse Daniel (2006), “The Clarinetists of the John Philip Sousa Band,” Doctoral thesis, Florida State University. Lichtenfeld, Monika (1972), “Triviale und anspruchsvolle Musik in den Konzerten um 1850,” in Carl Dahlhaus (ed. ), Studien zur Musikgeschichte des 19. Jahrhunderts, “8. Studien zur Trivialmusik des 19. Jahrhunderts,” Regensburg, Gustav Bosse, p. 143-150. Jon C. Mitchell (1994), “J. A. C. Somerville and the British Band in the Era of Holst and Vaughan Williams,” in Frank J. Cipolla and Donald Hunsberger (ed. ), The Wind Ensemble and Its Repertoire. Essays on the Fortieth Anniversary of the Eastman Wind Ensemble, Rochester, University of Rochester Press, p. 111-120. Sousa, John Philip (1928), Marching Along. Recollections of Men, Women, and Music, Boston, Hale, Cushman & Flint. Stacy, William Barney (1972), “John Philip Sousa and His Band Suites. An Analytical and Cultural Study,” Doctoral thesis, University of Colorado. Wehner, Jochen (2011), “Retuschen in der Partitur – ja oder nein? ‚Eingriff’ in die musikalische Komposition,” Clarino.extra., “10. Arrangements für Blasorchester,” Buchloe, DVO, p. 20-30. The Library of Congress, Performing Arts Encyclopedia (2013a), Sousa Band Press Books. Programs 1919, http://lcweb2.loc.gov/diglib/ihas/loc.natlib.sousa.200028652/default.html, accessed 13 May, 2013. The Library of Congress, Performing Arts Encyclopedia (2013b), Sousa Band Press Books. Press Clippings 1919, http://lcweb2.loc.gov/diglib/ihas/loc.natlib.sousa.200028651/default.html, accessed 13 May, 2013. The Library of Congress, Performing Arts Encyclopedia (2013c), Sousa, John Philip. 1914: Tales of a Traveler, (a) “The Kaffir on the Karoo,” instrumental parts, [Cincinnati], John Church, http://lcweb2.loc.gov/diglib/ihas/loc.natlib.sousa.200028254/default.html, accessed 13 May, 2013. Tobias Fasshauer, « Bridging Musical Worlds. Arrangements of Works by Debussy in the Repertoire of the Sousa Band », Revue musicale OICRM, vol. 2, no 1, 2014, p. 82-100. Tobias Fasshauer a fait des études de musicologie et de théâtre, en plus d’études en enseignement musical (avec comme sujet principal la théorie musicale) à Detmold et Berlin en Allemagne. De 1997 à 2010, il a été chercheur-assistant pour les œuvres complètes de Hanns Eisler (Hanns Eisler Gesamtausgabe). Il est coéditeur de la nouvelle édition critique des écrits d’Eisler entre 1921 et 1935 et éditeur de sa Symphonie de chambre. En 2005, il a achevé sa thèse de doctorat à l’Université technique de Berlin sur le style des chansons de Kurt Weill. Il travaille actuellement comme chargé d’enseignement en théorie musicale et comme musicologue à la Humboldt-Universität de Berlin. Il travaille également comme compositeur et arrangeur.